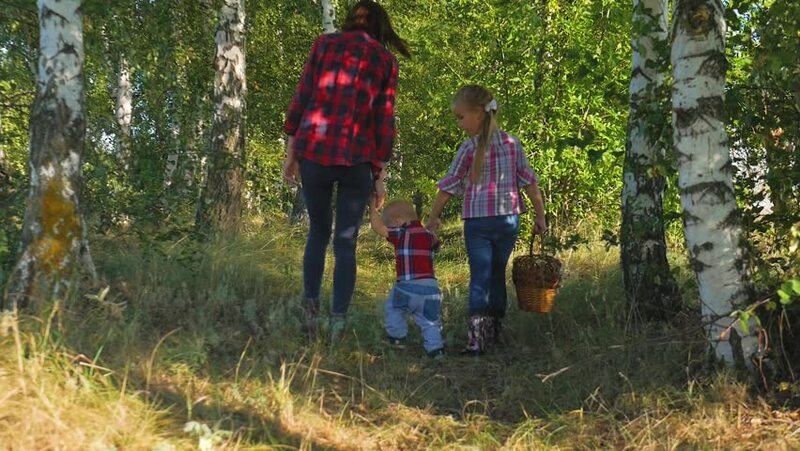 Mother with kids going on mushrooms picking in forest. hd00:09A little girl rides a Bicycle and a sister runs beside her. Bright Sunny summer day outdoors. hd00:30Young beautiful family is running trough the apple orchard full of grown red apples, footage in slow motion. hd00:54Group of children playing in the park in autumn with yellow leaves cast a lot of fun.